In a disturbing sign that the violence in Syria may be spreading beyond its borders, police in Almaty are investigating an attack that seriously damaged the Arab Republic’s Consulate offices. The upper floors of the building sustained heavy damage in the attack, which Syrian diplomats believe was intentionally targeted, according to the KTK television station. The Consulate’s third floor housed the offices of the Syrian honorary consul, together with important documents. 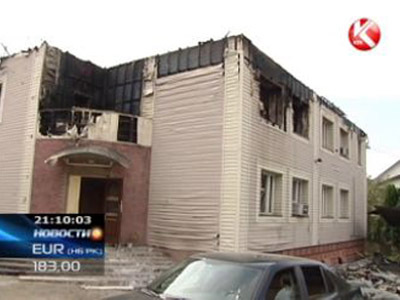 The fire also damaged guest rooms and a meeting hall. Police are now investigating the incident, the station said. Syria's Honorary Consul to Kazakhstan Samir al-Dara explained in an interview with KTK the level of violence that has hit the Syrian community in Kazakhstan. “They set fire to a house today and they could kill someone tomorrow,” he said. “I have no idea. I cannot live here any longer."